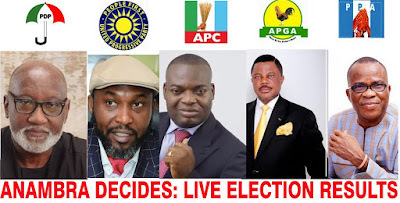 Willie Obiano of the All Progressives Grand Alliance, APGA, has cleared all the 17 LGAs declared by the INEC in the Saturday’s governorship election. Result so far declared by the electoral umpire show that the incumbent is on his way to retaining his seat for second term. 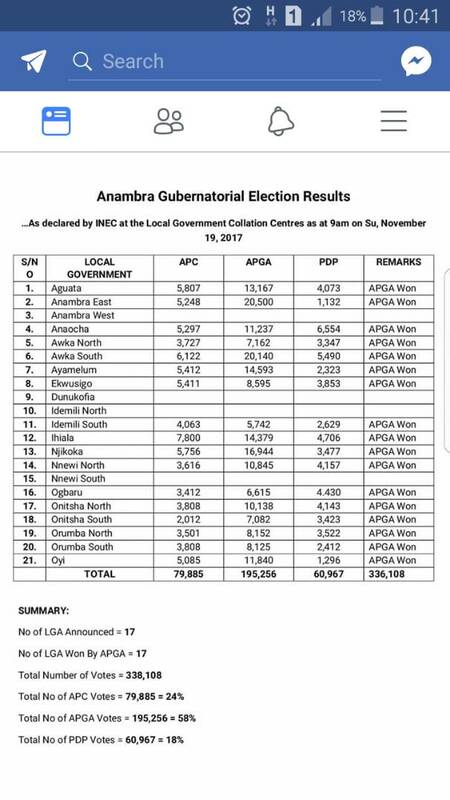 Anambra has 21 LGA s.